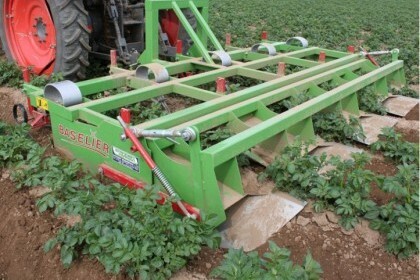 The BASELIER GKB series is a high speed, 4-stage Cultivation and Potato Ridge Consolidation machine. It offers low cost and high performance, achieving speeds of up to 10 km/h. 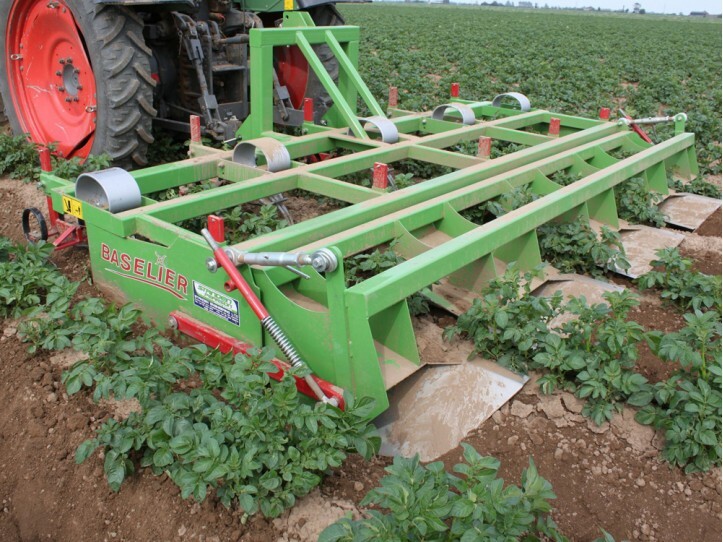 The Baselier GKB series is available in 2-row, 4-row and 6-row models with row distances of 75,80 and 90cm. Each spec of machine includes a strong main frame, staggered tines, Vibro-flex tines, ridge forming bodies and ridge forming hoods on parallel linkages where the top plates easily unbolted for post emergence cultivations. 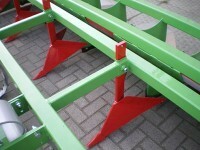 There is also the option of stainless steel plates to allow high speed cultivations. 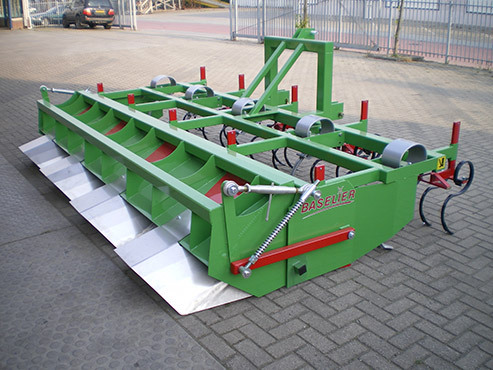 The Baselier GKB Series can be modified to add special equipment for stony soils; including ridging discs.